How Long Will a Refinished Tub Last? Quick Answer: Based on our experience, the surface of a refinished tub can last 3 1/2 years. However, it can last longer, as detailed below. When you refinished your bathtub, hopefully you adopted the mindset that this will not last forever. When your bathtub was born, it began its life like a through-body porcelain tile: its composition and color ran all throughout the tub, top-down. If you had a foam-green tub and were to break it in half and see a cross-section, you would see foam-green color inside, not just on top. But then something happened. Over the years, you put flower pots in the tub to water them. Big dogs with long claws got washed. Drano splashed on the tub floor. You left a metal tub-stopper chain on the tub deck too long, and when you picked it up a year later there was a rust shadow of that chain. Or maybe it was just the result of normal usage and cleaning. Even the most prudent, careful homeowner, over many years, will wear down the tub. Then you had your tub refinished. Refinishing is not forever. It's a good alternative to total tub replacement--cheaper, less invasive, but also less permanent. So, with that understanding in mind, how long can you expect a refinished tub to last? The tub is professionally refinished in an off-white color; it looks good. The surface is hard and unyielding. During this period, religiously clean the tub according to instructions: no abrasive cleaners, no abrasive pads. Clean only with SoftScrub or 409. It's work, but if you catch the dirt and soap scum early enough, you can clean them off. During this time, the cleaning schedule tends to slip. Occasionally, dirt rings form on the sides of the tub, as well as black foot marks on the floor. The soft cleaners just aren't cutting it. Begin using bleach-based abrasive cleaners on the tub. Surprisingly, nothing bad happens at first. In fact, nothing happens the next month and the next and the next. Comet cleans the bathtub but, does not strip the coating. If it dulls the surface, you can't tell the difference because it wasn't very glossy to begin with. Then, the unexpected happens. you drop a shampoo bottle on the sloping back side of the tub. The distance can't be more than 3 feet. The part of the bottle that hits is the soft bottom. Yet it nicks the paint. It isn't much--just a 1/4" diameter nick exposing the original pink surface of the tub. The edges of the nick are ragged. As the months go by, water slowly expands the size of the nick until it is about 3" long and 1" wide. Unless you patch this nick, it will continue expanding. Even though patching is a viable option, you decide to refinish the entire tub. You can use a do-it-yourself kit to refinish the bathtub over a weekend. 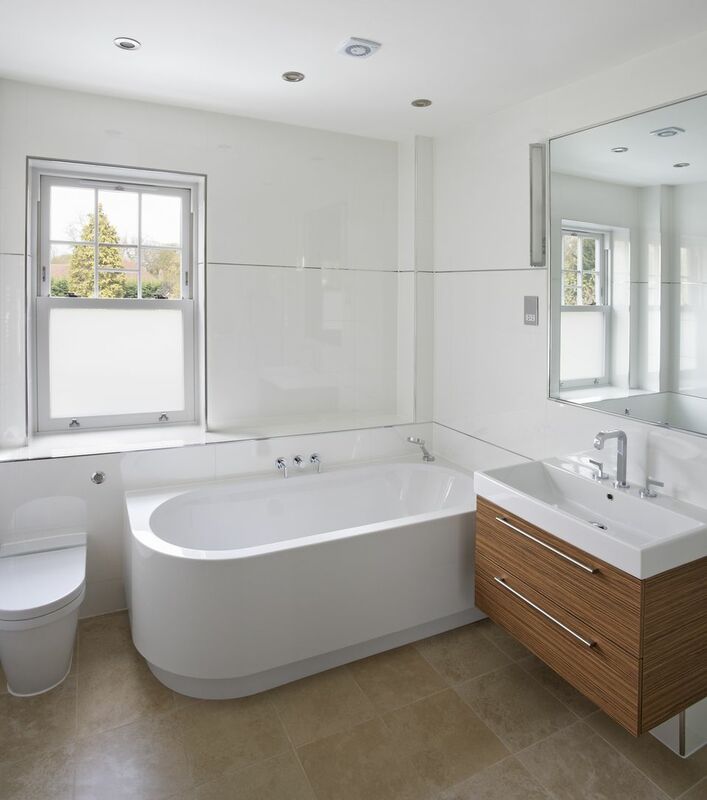 Can you make your refinished tub last longer? Absolutely. With better care, you can extend its lifespan to 5 years, maybe more. Avoid the abrasive cleaners to retain the gloss. If you can also somehow avoid dropping anything onto the tub, that will also help. Metal razors and shaving mirrors definitely will nick your tub coating. Use smaller bottles of shampoo and body wash that won't damage the surface if dropped.